Mars One has pushed back its first mission, a lander based on the design used for NASA's Phoenix and InSight missions, to 2022 under a revised schedule announced Dec. 7. Credit: Mars One artist's concept. WASHINGTON — Mars One, the project to send humans to Mars on one-way missions that has attracted public interest and professional skepticism, said Dec. 7 is it delaying its timetable for those missions by several years. The revised schedule, which shifts the first launch of robotic missions until the early 2020s and the first human mission until the early 2030s, comes as Mars One becomes a publicly-traded company on the Frankfurt Stock Exchange in Germany and seeks to raise funding. Mars One originally announced plans for robotic precursor missions to Mars in December 2013, issuing study contracts to Lockheed Martin Space Systems for a Mars lander and Surrey Satellite Technology Ltd. (SSTL) for a communications orbiter. At the time, those missions were scheduled for launch in 2018. Mars One postponed those missions to 2020 after SpaceNews reported in February 2015 that there had been no progress on those missions after the completion of the initial studies. At the time, Mars One also said its first crewed mission, carrying four people to live on the planet permanently, would also be delayed two years to 2027. Under the revised schedule announced in a statement released by Mars One Dec. 7, the lander mission is now scheduled for launch in 2022, with the orbiter mission delayed to 2024. Mars One said it would continue to work with Lockheed Martin on the lander, but did not state whether it planned to still use SSTL for the orbiter. That revised schedule could create its own complications. Under the original concept for those missions, the orbiter was to serve as a communications relay for the lander, transmitting to Earth images and other data from the lander. With the orbiter now arriving two years after the lander, Mars One will either have to rely on the lander’s own communications system, which may offer lower throughput, or seek partnerships with government agencies operating orbiters at Mars. Under Mars One’s revised plan, those precursor missions will be followed by a rover in 2026 to help select a landing site for the eventual crewed missions. A second rover and other hardware would launch in 2029, followed by the first crew in 2031. That delayed schedule reflects the challenges Mars One has faced raising the funding needed for those robotic precursor missions, let alone the far more expensive human missions. “Mars One can only implement the mission to Mars if we can afford it – and we need investments to get going,” Bas Lansdorp, chief executive and co-founder of Mars One, said in the Dec. 7 statement announcing the revised schedule. Mars One announced plans to raise money in November through a merger with a publicly-traded company. Mars One said Nov. 7 that InFin Innovative Finance AG, a Swiss company that had been working on mobile payment technologies, would acquire the for-profit Mars One Ventures company in an all-stock transaction valued at 87 million euros ($92 million). InFin, traded on the Frankfurt Stock Exchange, would be renamed Mars One Ventures, with Lansdorp serving as the company’s new chairman of the board. InFin shareholders approves the deal Dec. 2, and the company is now trading on the Frankurt exchange under the Mars One Ventures name. The company, though, is thinly traded, with only about 18 million shares publicly available. The company’s share price of 0.16 euros ($0.17) at the start of trading Dec. 9, a value that has changed little in the month since the deal was announced, gives the company a market cap of less than 3 million euros. Mars One plans to raise 10 million euros ($10.6 million) through a secondary offering of stock. “Being listed on a stock exchange will make fundraising more straightforward,” Lansdorp said in the Dec. 7 statement. Work on the Mars missions themselves is the responsibility of a separate non-profit organization, the Mars One Foundation. Under an agreement between the foundation and the company, the foundation has assigned all “global monetization rights” for the effort to Mars One Ventures, which agrees to provide five percent of it revenue to the foundation to fund work on the missions. Mars One has previously estimated that the cost of the total mission architecture, through the first crewed landing, to be about $6 billion, a figure that many industry observers believe to be far too low. If correct, though, Mars One Ventures would still need to generate $120 billion in revenue in order for its share provided to the foundation to reach $6 billion. 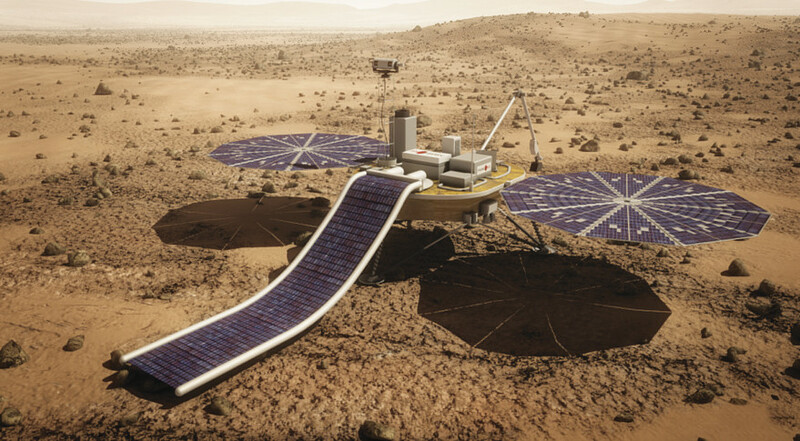 Lansdorp, in a November interview by email, argued that Mars One Foundation will also be able to raise money through direct donations, offsetting the amount the for-profit company would need to provide. “The foundation also receives donations, which are only used for the mission,” he said. To date, though, donations have provided little revenue for the foundation.